The Wayne State University School of Medicine will host a special tribute to the late Silas Norman Jr., M.D., Class of 1976, from 5:30 to 7:30 p.m. April 28 in the Shiffman Medical Library atrium. The tribute will feature colleagues, friends and students, as well as the critically acclaimed Brazeal Dennard Chorale, of which Dr. Norman was an active member. All are welcome to attend and honor the life of Dr. Norman, who died July 17, 2015. He was 74. If you would like to share a story about Dr. Norman, send an email or video to diversity@med.wayne.edu. Please include your name, year and specialty. The longtime faculty member and supporter of the School of Medicine was appointed assistant dean of Admissions in 2003, and associate dean of Admissions, Diversity and Inclusion in 2010. 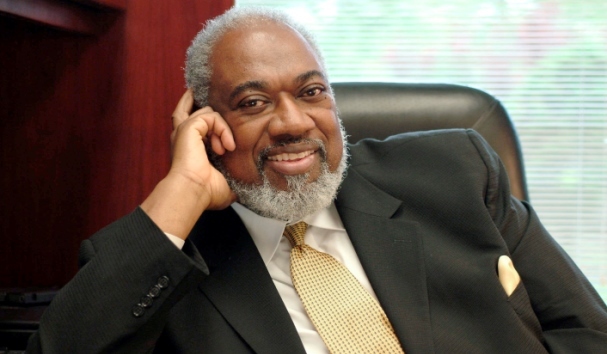 Dr. Norman was a driving force for diversity, fairness and compassion for the underserved, and was the recipient of numerous awards throughout his career in recognition of his countless contributions to society. He served as a consultant to the Detroit Health Care for the Homeless project and the Detroit Department of Health & Wellness Promotion, working to see that thousands of uninsured and underserved people received much-needed health care. He was chair of the Detroit-based Community Health Awareness Group Inc., an organization dedicated to supporting individuals affected and infected with HIV and AIDS. A medical suite at the State Prison of Southern Michigan in Jackson is named after Dr. Norman, who served as the facility's medical director. His commitment to social and humanistic medicine also led him to serve as chief medical officer for the Michigan Department of Corrections and medical director for the Wayne County Jails.